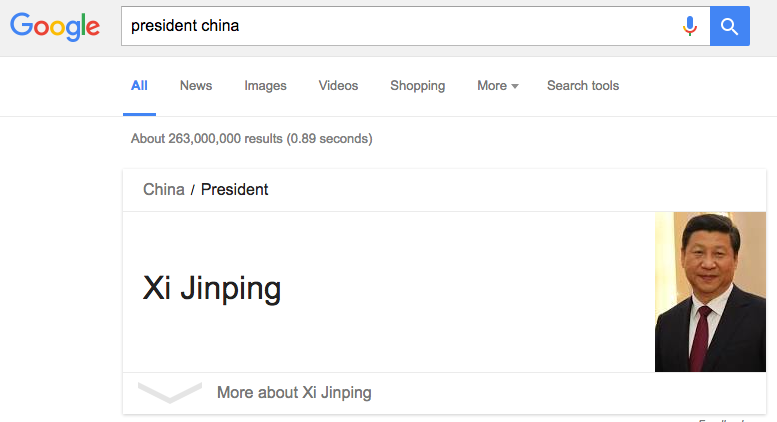 Google is not just a search engine. Even if you aren’t counting all the additional services owned by Google (Gmail, Google+, YouTube, Drive, Calendar, Hangouts), or all the different versions of the search engine (Scholar, Books), you can do a ton of things besides a traditional search on Google’s search page. And with at least two trillion searches annually (which works out to at least 5.5 billion per day, or 228 million per hour, or 3.8 million per second, or 63,000 per second—which I discovered by using Google to calculate), people are clearly using the engine for a little bit of everything. Try using it as a currency or measurement converter, to follow stocks or track a package, or to keep a specific domain out of search results. 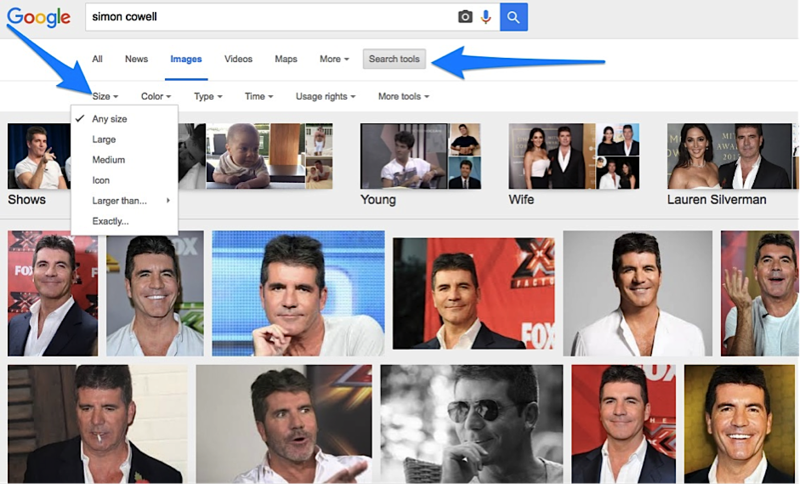 Using operators will allow you to create very specific searches and perform specific tasks. 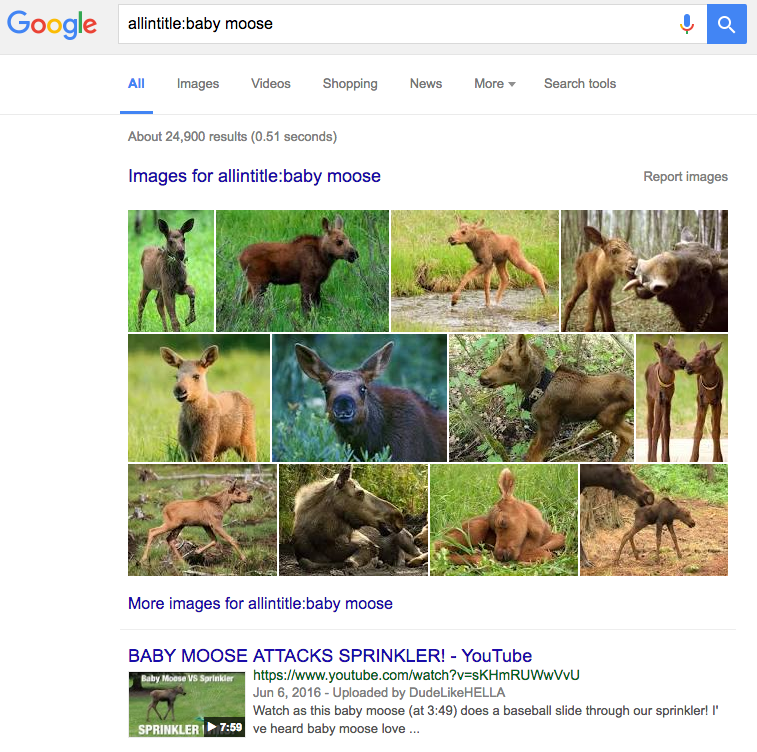 Here’s a list of 42 of the most useful Google search tricks that’ve probably never thought of—some practical, some just plain fun. 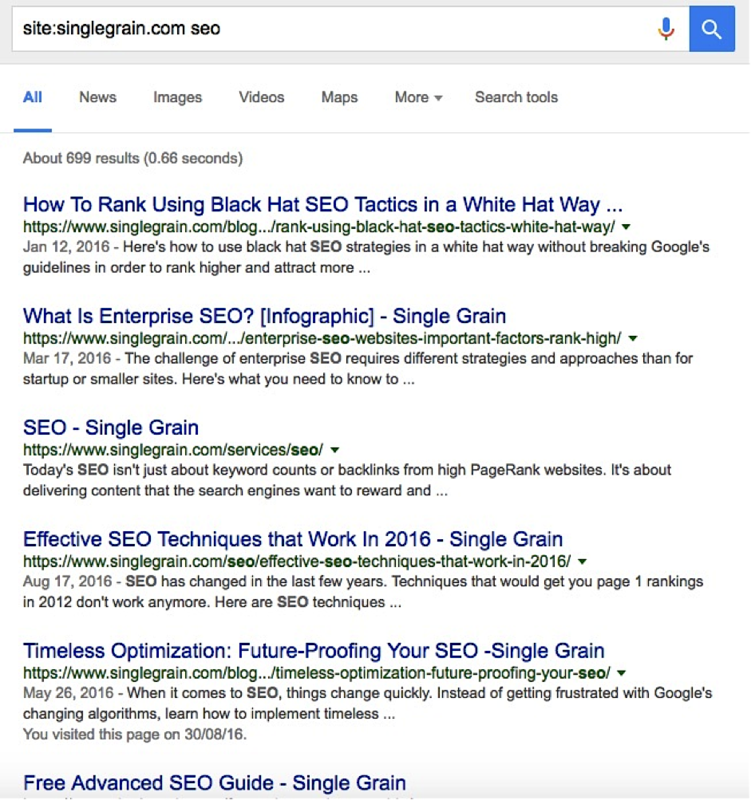 Everyone knows how to Google, but by learning how to Google like a pro, you can harness the full power of the search giant and impress your boss and friends alike. Or at least find stuff. 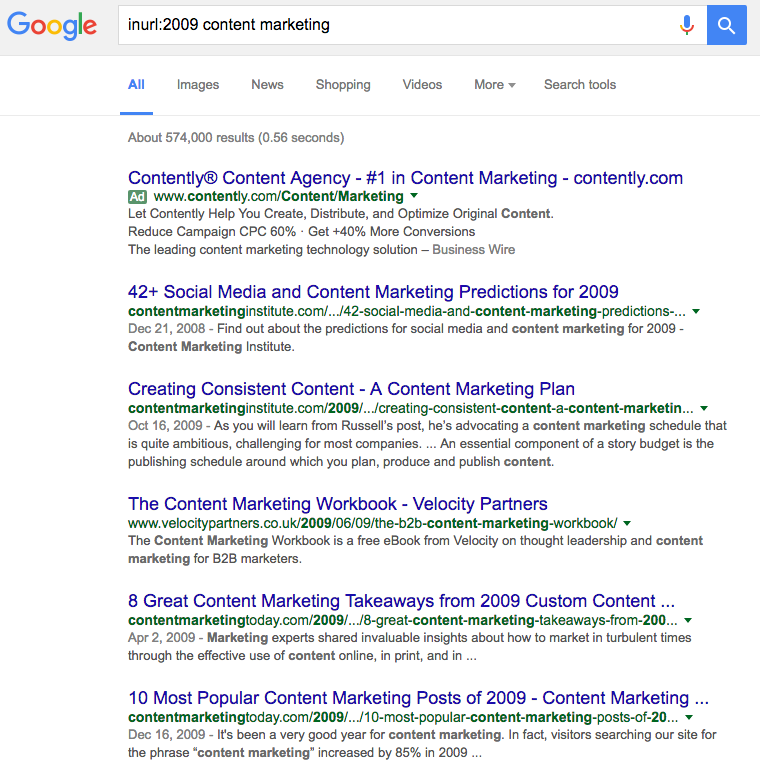 Free Bonus Download: Get this entire post in a handy, downloadable PDF so you can Google like a pro! Click here to download it for free right now! 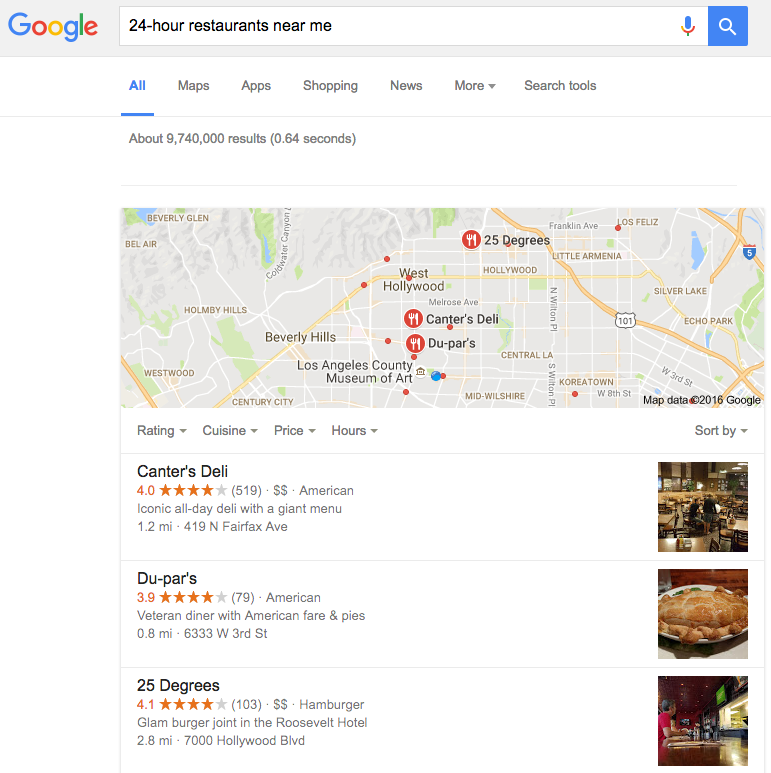 There are plenty of operators—additional instructions, punctuation and symbols that allow Google to get you laser-focused results—that you can include in your query. 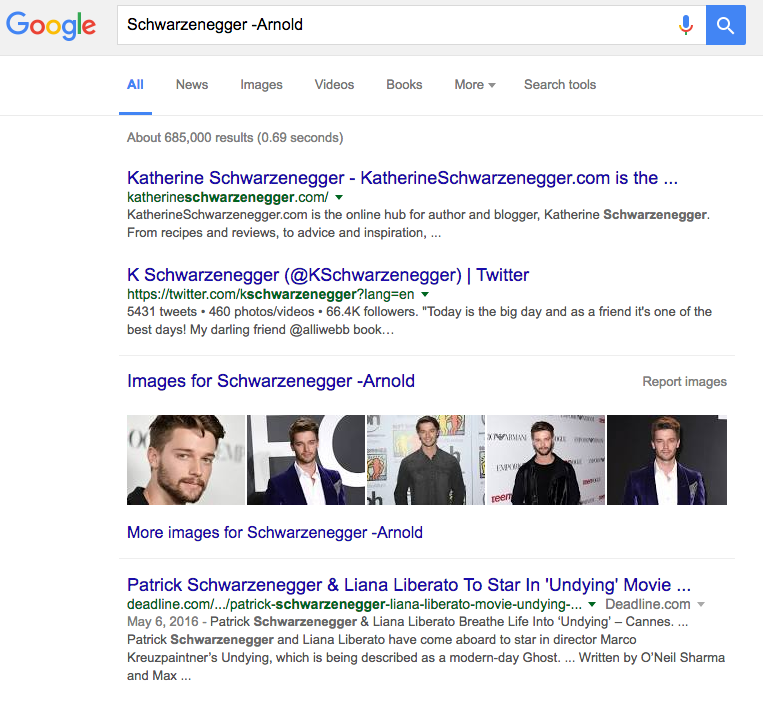 Try using Google Advanced Search to narrow your search even more. Math not your strong suit? 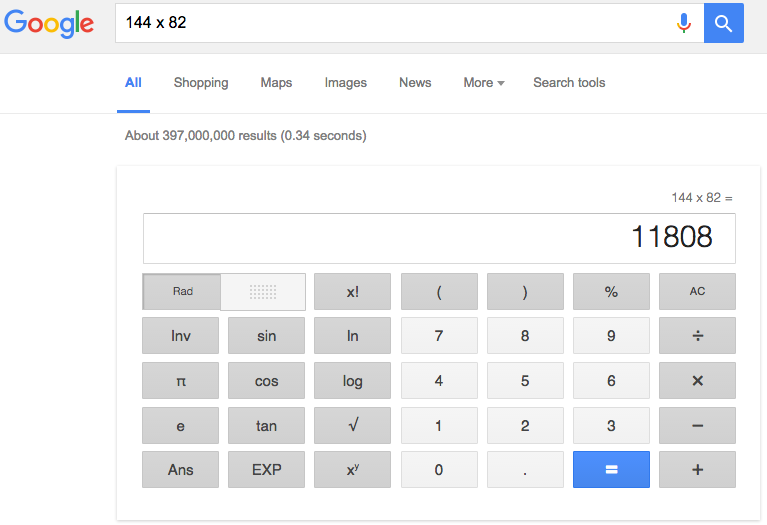 Just type in an equation: anything from 1 + 1 to sin(90) / cos(30) can be calculated by Google in mere seconds. Take that, solar-powered pocket calculator! Want to know the time in Budapest? Type time Budapest, and the top result will show the time, the corresponding time zone, and the date. What time is it in Budapest works too. The same conversion metrics can show you 10 tsp to tbsp, 100 km in miles, and 8 pints in quarts. Need to convert pounds (lbs) to kilograms (kg)? Simply type X lbs to kg and hit enter (easiest weight loss you’ll ever see). 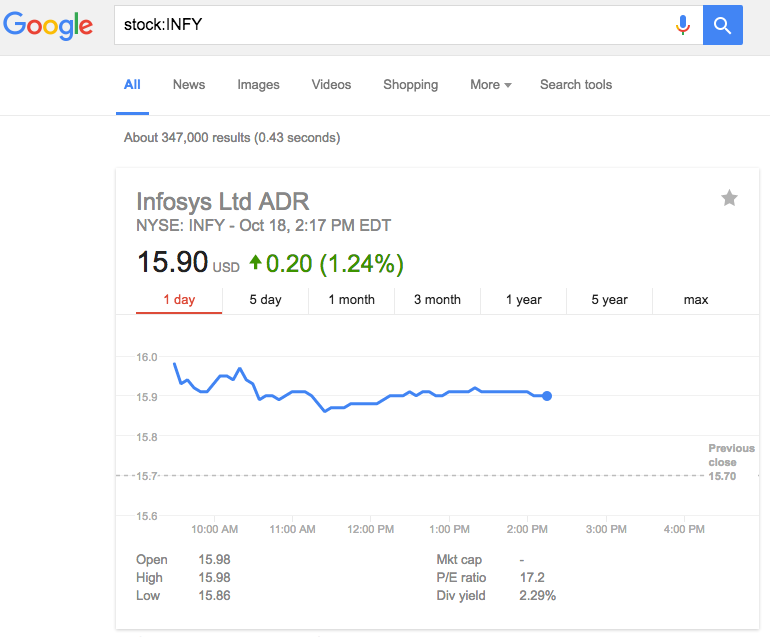 See how well your stocks are performing by typing stock:INFY (or the appropriate stock exchange abbreviation). Don’t know the abbreviation? The “stock:” operator even works with full names, so stock:microsoft and stock:MSFT will both pull up the same information. Planning on getting up at the literal crack of dawn? Look up sunrise Los Angeles. 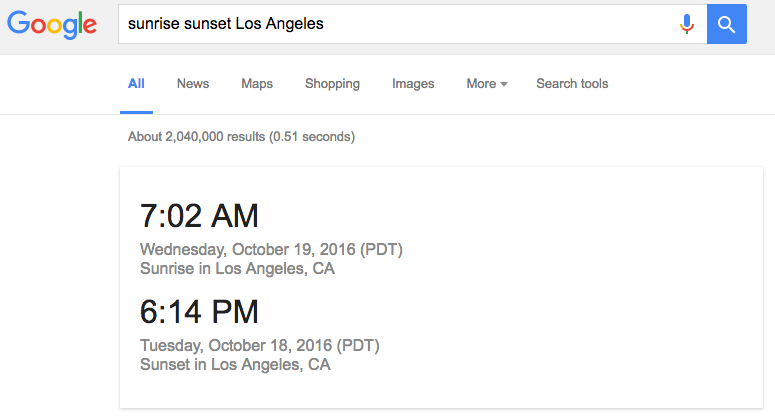 Arranged to meet someone at sundown? Type sunset Seattle. Find out what it’s like outside by either ZIP (or postal) code or location. Enter weather 94103 or weather Vancouver. Just in case you don’t have a window to check. Speaking of the weather, since pretty much all other countries in the world except the United States use the Celsius scale, if you’re traveling to a place in which the current temperature is 30 °C, you should know to pack shorts and not a parka. Just look up 100 C in F or 100 degrees C in F or 100 Celsius in Fahrenheit. Interesting tidbit: -40 is the same in both Fahrenheit and Celsius. How does that work? 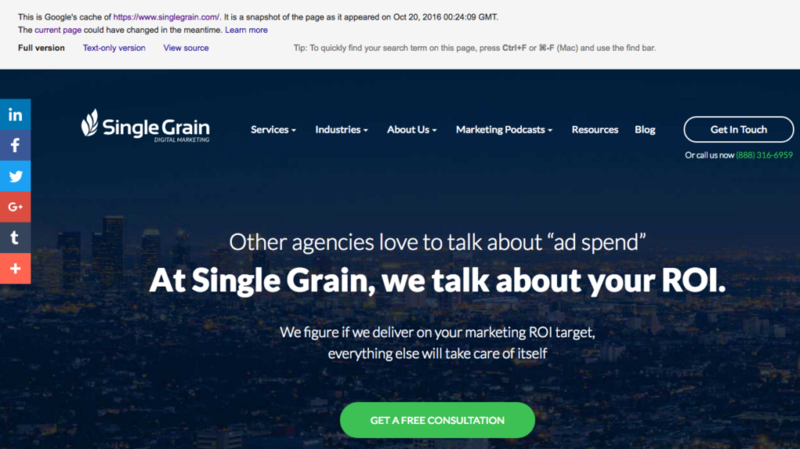 Want to see what Single Grain has to say about SEO? 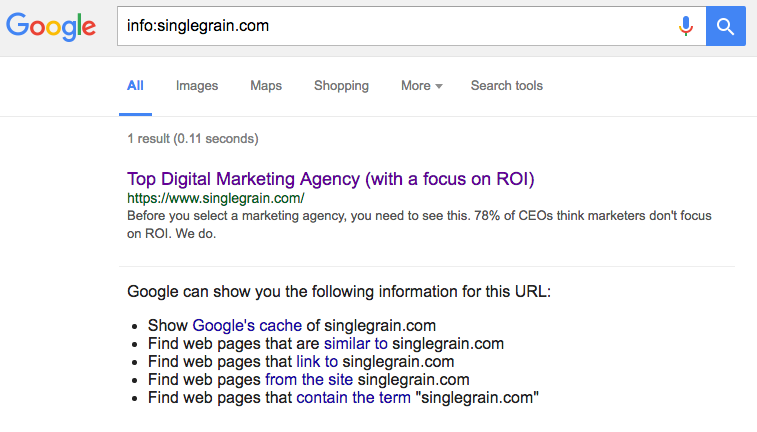 Search site:singlegrain.com SEO and the “site:” operator restricts the search to only that domain. For most of us, calculating the 15% (or 10% or 20%) tip at a restaurant can be mentally exhausting. And there’s no shame in that. 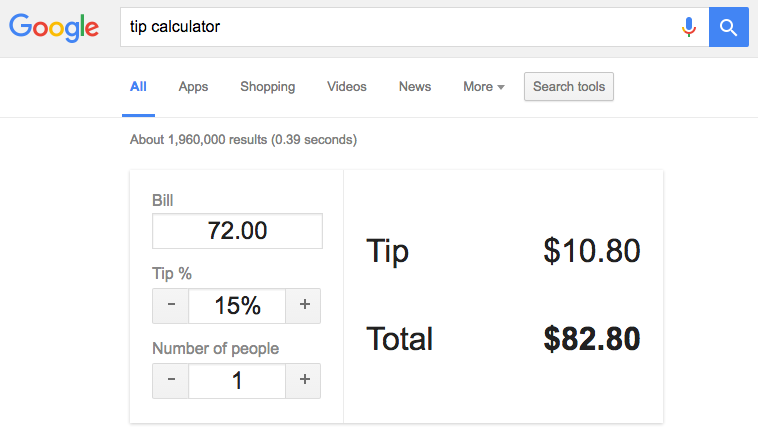 Simply type tip calculator into Google, enter your bill total, desired tip percentage, and number of people. Instant math. Ain’t technology grand?! 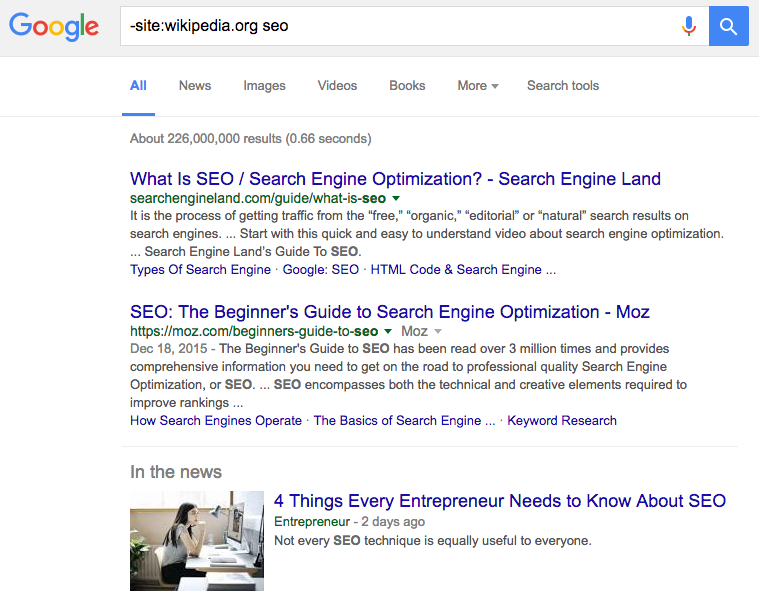 Tired of seeing Wikipedia articles on your SERPs? 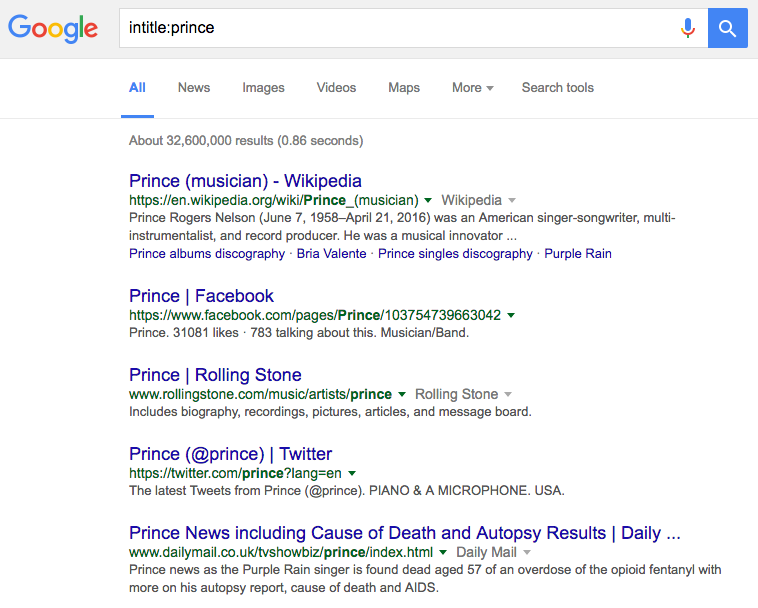 Use -site:wikipedia.org before your search term to remove results from that site. 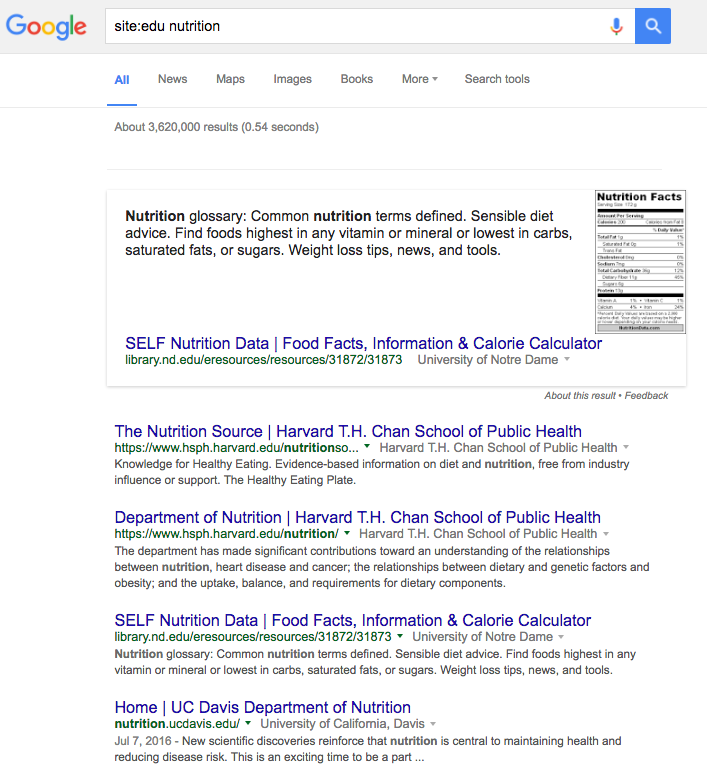 If you know you’re looking for information or details most likely found on an educational or scholarly website, limit your search results to those domains. Use the site:edu operator to only get results from .edu and scholarly research websites. 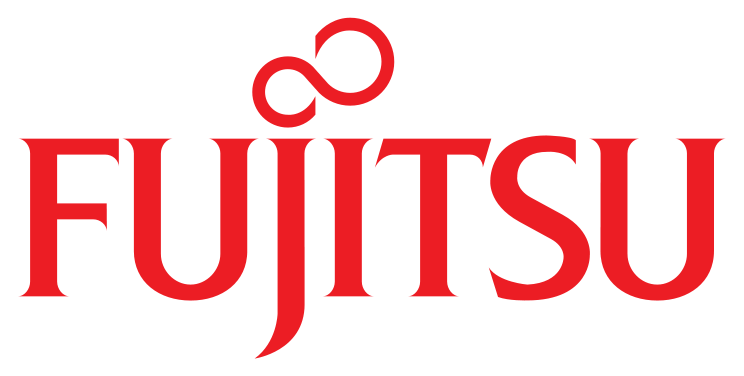 If you’re looking for pages originating in 2009, use the inurl:2009 operator before your search term to find pages with 2009 in their URL address. 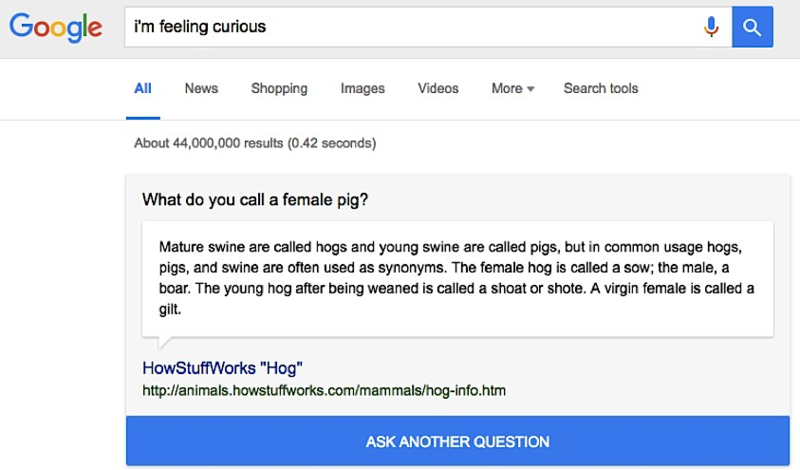 Type the “info:” operator to see what information Google knows about a website. Use info:singlegrain.com to get the dirt on us. You never know when useless trivia may save your life. Type fun facts or i’m feeling curious into Google’s search bar, and get answers to the questions that few, if any, people are actually asking. Just type in the tracking number to see when a UPS package is expected to arrive. 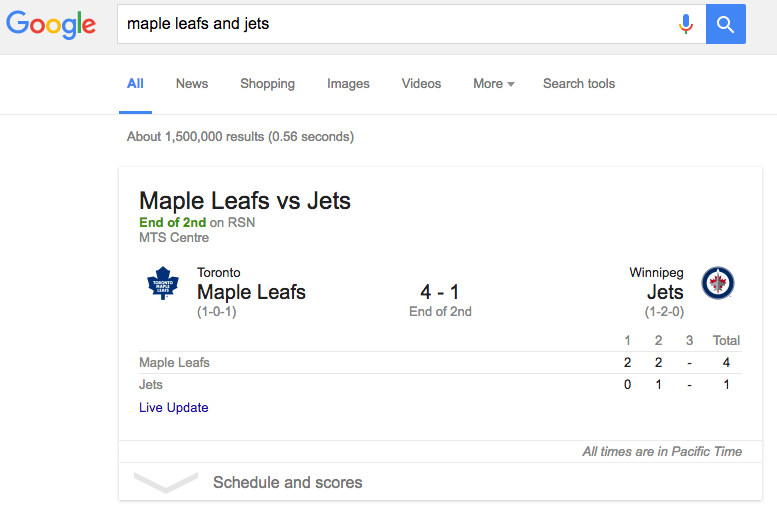 If sports are your thing, type in the names of the two teams while a game is in progress to see the latest boxscore. Or just enter the name of your favorite team (Go Sens Go!) to see who and when they next play. Weird? Yes. 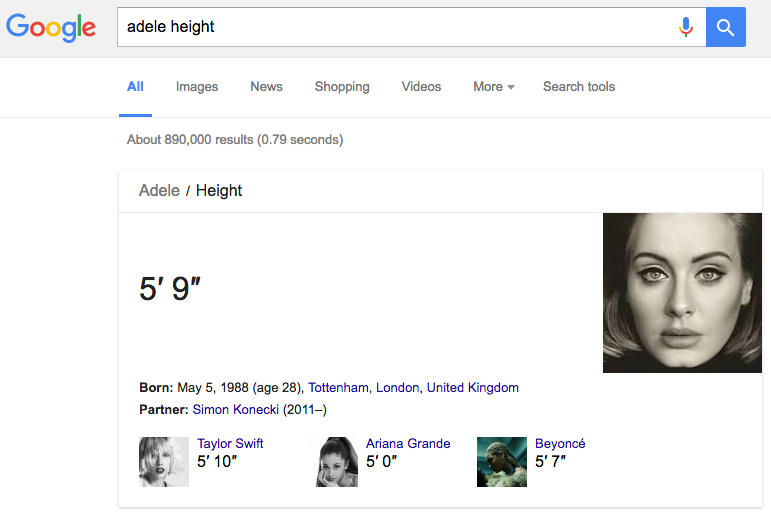 But if you type Adele height, Google will guess 5’9″ (best guess from available data, of course). This is useful if you need to know whether you’re taller than Tom Cruise (you are). Waiting for someone on United flight 900? 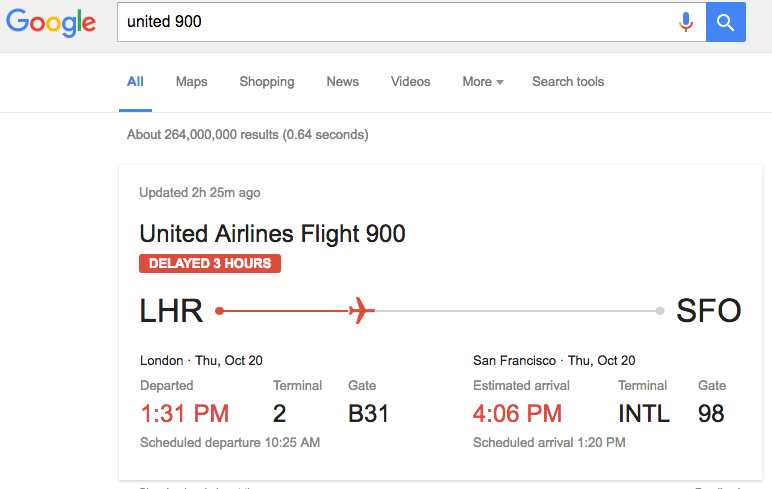 Just type United 900 (or Air Canada 7331 or WestJet 1697 or any other airline and flight number), and the results will show whether the flight is on schedule, what time it departed, and what time and gate it’s expected to arrive. To hell with picking someone else up at the airport! If you want to take a trip, try looking up flights between two locations by entering the two airport codes. 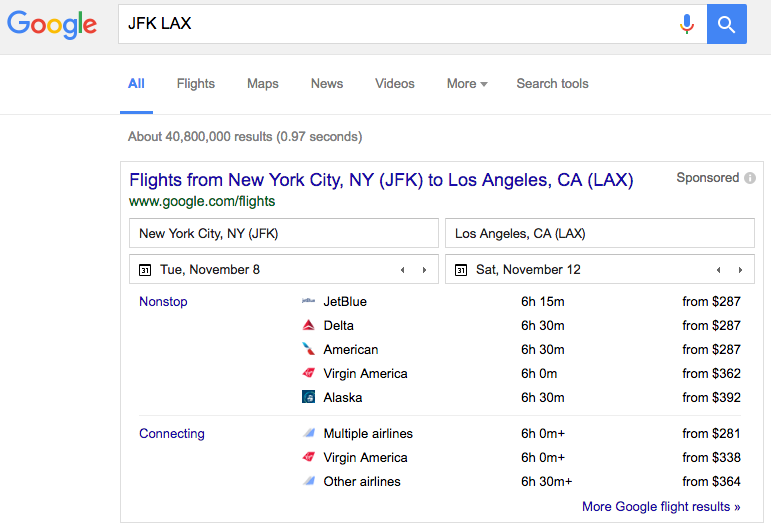 For example, to go from New York to LA, enter JFK LAX. From Toronto to Budapest? Type YYZ BUD. The results will list available flight options, duration, and “starting from” prices. And if you don’t know the airport code offhand, trying searching Toronto to Budapest instead. 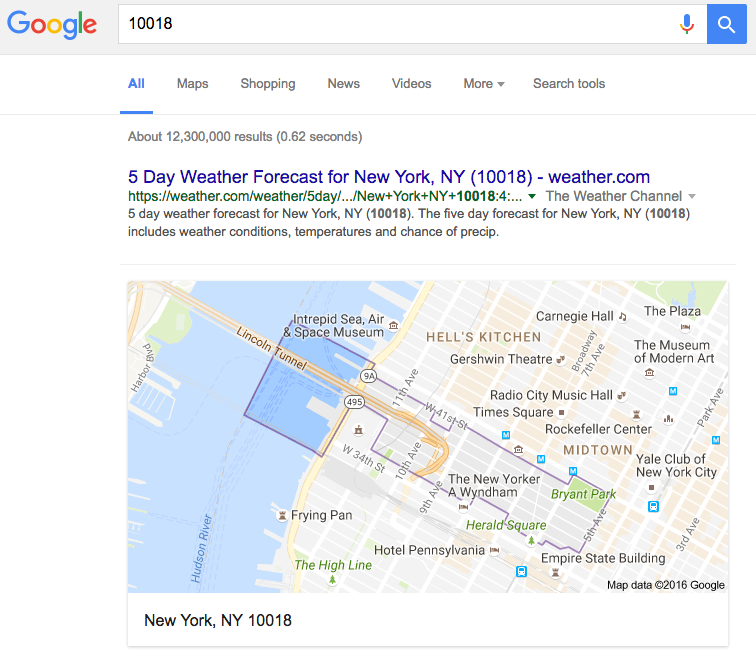 Google can tell where you are based on your preferences or IP address. 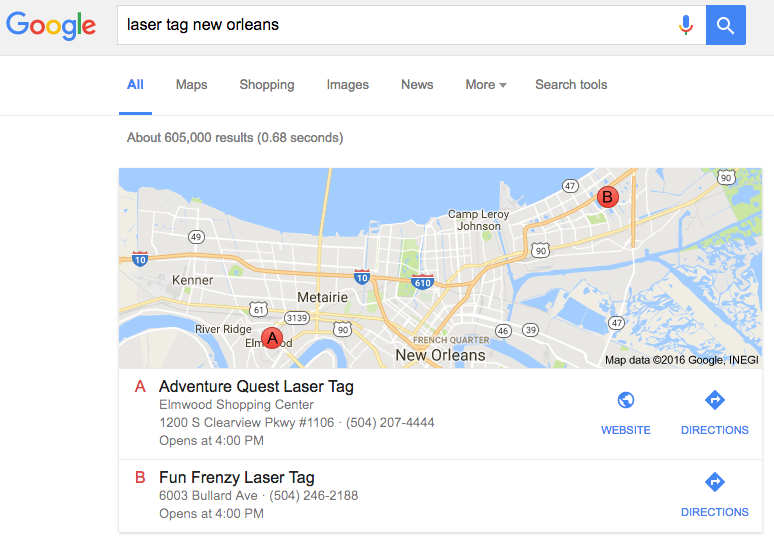 To search local information for somewhere else, while planning a vacation or trip for example, type italian food 94103 (adding the ZIP or postal code) or laser tag new orleans (adding the place name). Want to see the closest Thai restaurant options, or the nearest bank? 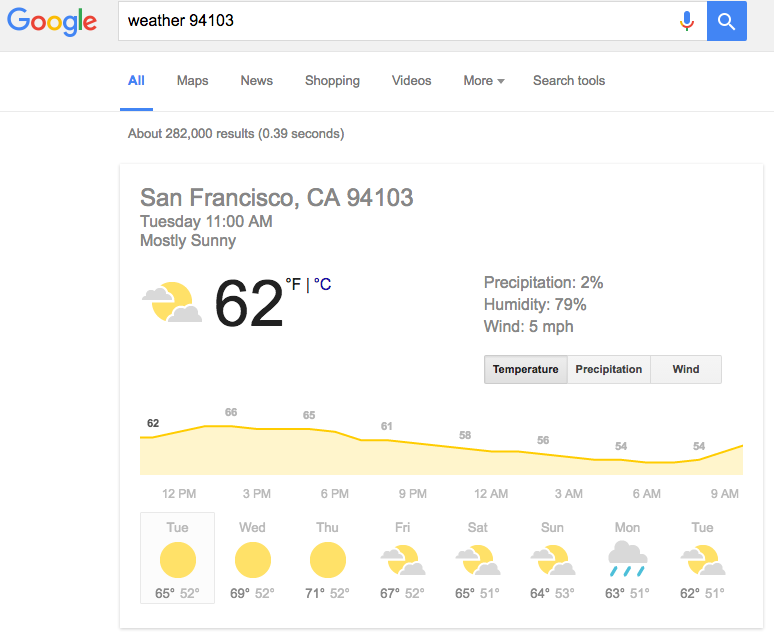 Use the “near me” operator to see a handy list. Try coffee shops near me, or 24-hour restaurants near me the next time you’re awake at 3am. If you come across an unfamiliar ZIP or postal code, enter it in the search field to see a map of where it represents. Enter a patent number after the word “patent” to find information on it. Try Patent 5123123 (it’s a bathtub overflow control device, and we can all agree the world is a better place because of it. Thank you, Thomas G. Hart and Peter Hladik.). 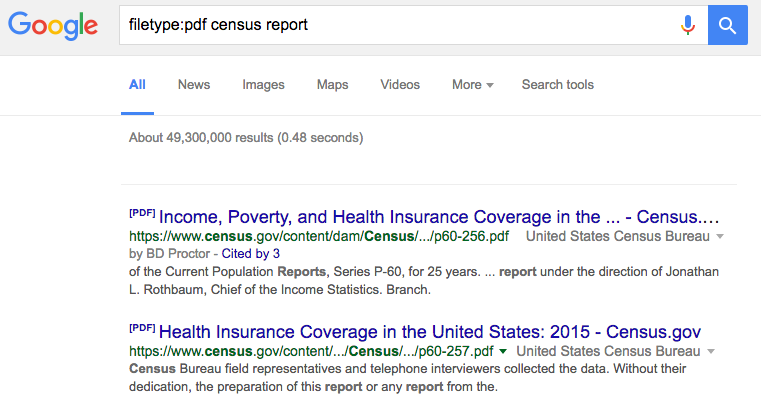 If you remember reading a census report in PDF, you can search for filetype:pdf census report. The “filetype:” operator works with other types, too, like .docx, .avi, .jpeg, and .png. Health coverage and poverty in the U.S.? Yikes, let’s not go there. Into every website, a little downtime must fall. 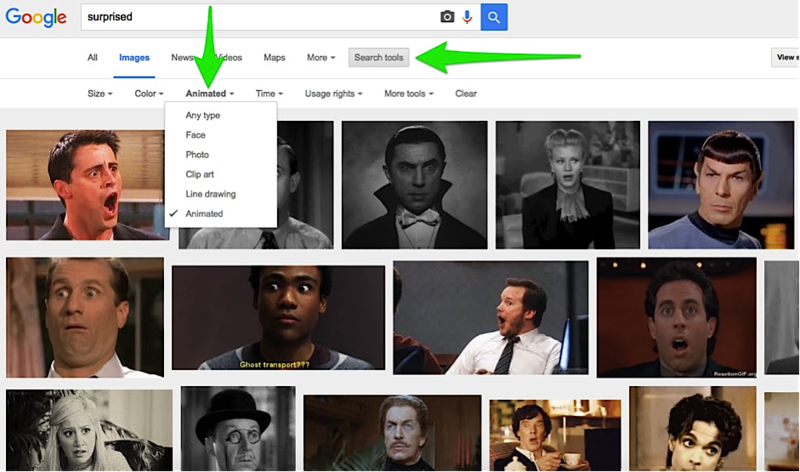 Use the “cache:” operator to see Google’s cached version of a site. If Single Grain ever goes down, at least you can check cache:singlegrain.com. 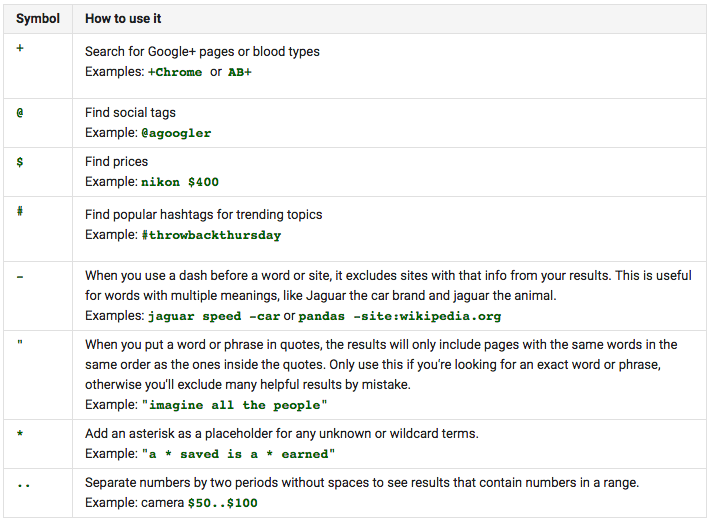 To broaden a search to include at least one of two search terms, use the “OR” (it must be capitalized) operator. 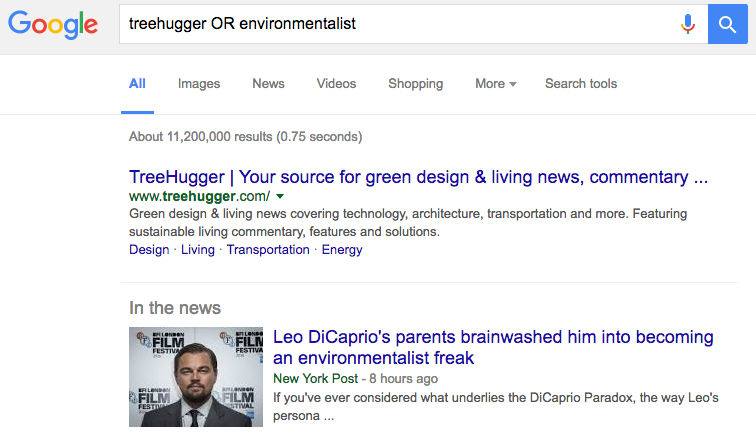 Entering treehugger OR environmentalist will return results on both terms. Look up facts by typing population Los Angeles or average rainfall Mexico City or president China or most common cancer, or virtually any other fact you want to discover or confirm. 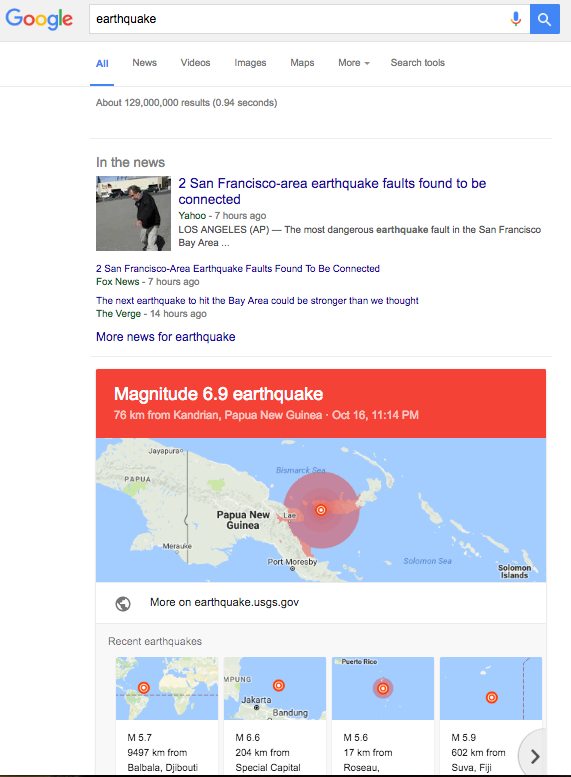 Just type earthquake to see a list of recent earthquakes, or add the location if you’re interested in a specific quake. Using quotation marks lets you perform an exact phrase search that will only include results with those exact words in that exact order. 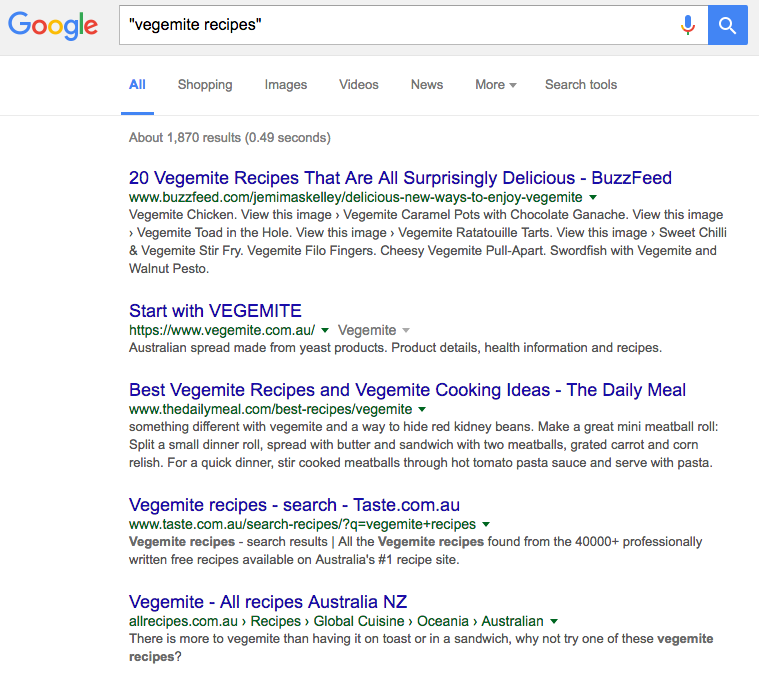 For example, “vegemite recipes” will get you a whole lot of results about exactly nothing. 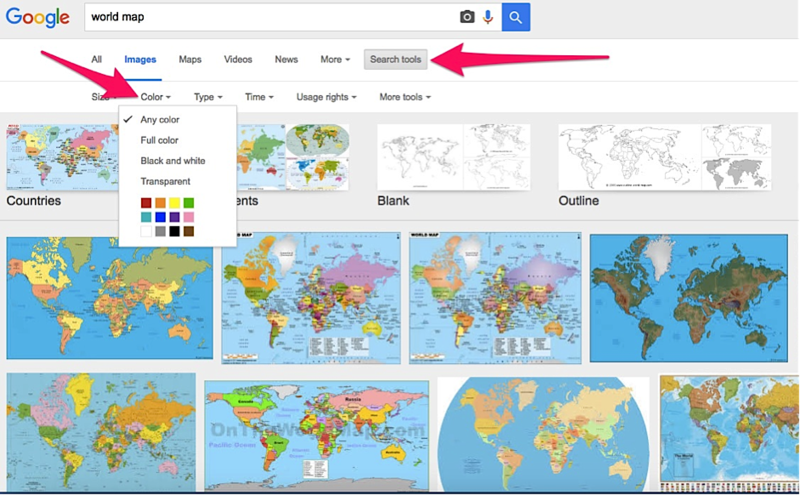 Use Google Image search, and select the color of image you’re looking for by using the color dropdown menu under Search Tools. You can look for full color images, black and white images, transparent images, or choose a specific color depending on your needs. You can also select the image size, including: any size, large, medium, icon, larger than, and exactly. Find the menu under Search Tools. 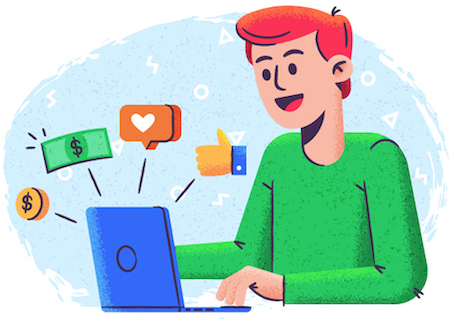 Select what type of image you are looking for: face, photo, clip art, line drawing, or animated (to find the perfect GIF for your blog post). Have a tricky either/or decision to make? Need some “let the universe decide” assistance? 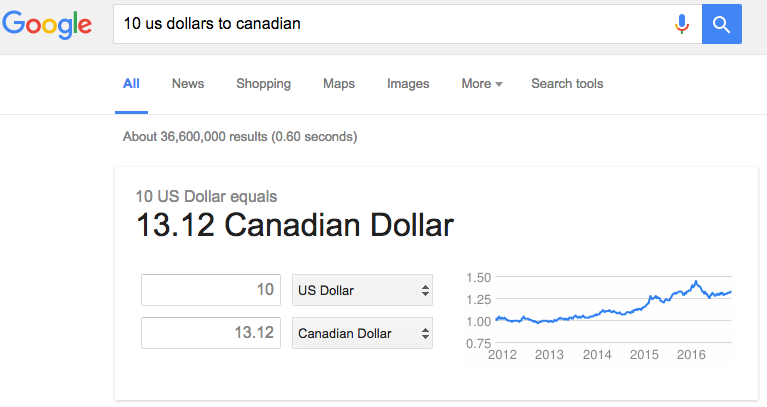 Google will gladly flip a coin for you if you type flip a coin in the search field. Chinese or Italian for dinner? The new rom-com or latest Marvel superhero epic tonight? Google and fate will decide. Modern Android smartphones allow you to ask Google a question from virtually any screen with the “OK Google” command. 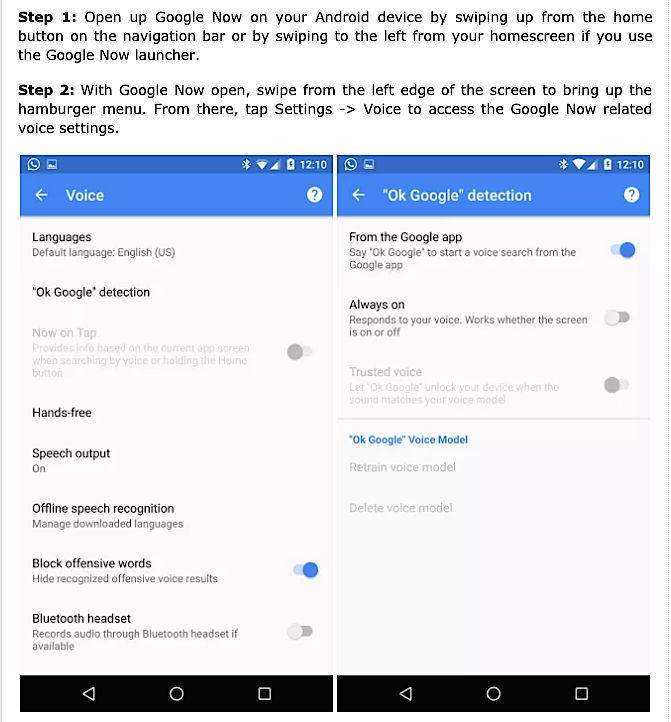 You can turn it on from the Google Now home screen under Settings >Voice >”Ok Google” detection. And then ask to your heart’s content. 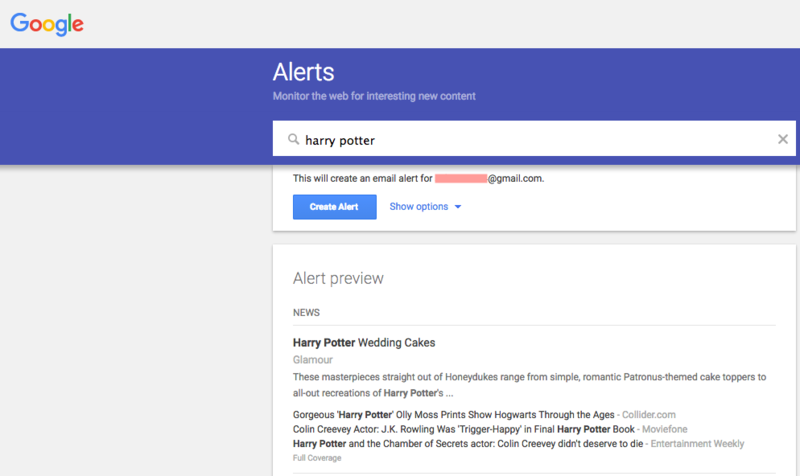 If you’re running the same search over and over again, set up a simple Google Alert to have results e-mailed to you on your chosen topics. Think you have what it takes to defeat Google in armed combat? 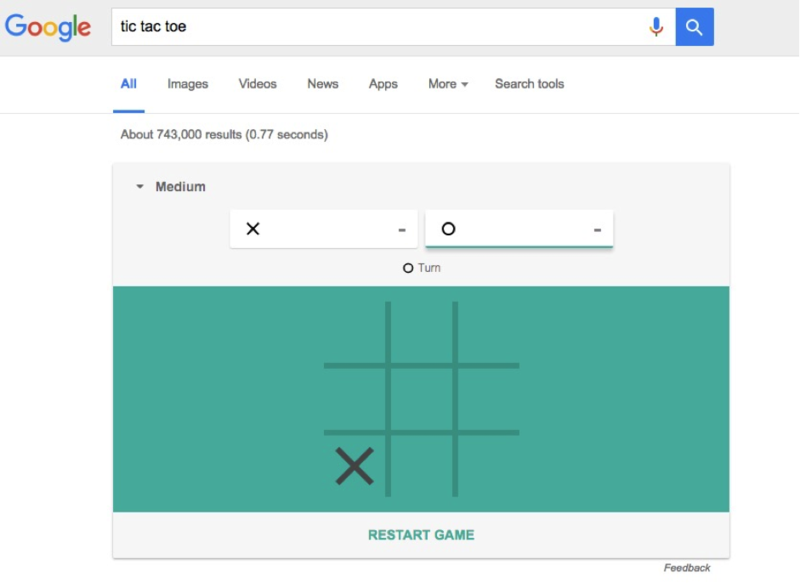 Enter tic tac toe in the search bar and play the classic game against the search engine. Select the difficulty level, choose your weapon (X or O), and marvel at how fast the hours disappear. What about you? 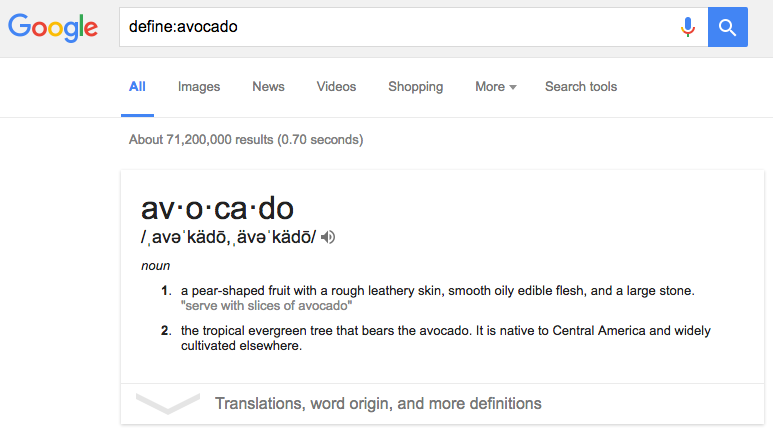 What secret tips, tricks, or hacks do you frequently use on Google Search? Leave your suggestions in the comments below!